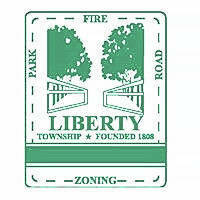 The Liberty Township Board of Trustees approved a resolution Monday engaging Trebel LLC, a certified aggregator with the Public Utilities Commission of Ohio (PUCO), in an energy consultation and management agreement with the possibility in mind of voters approving two November ballot issues authorizing energy aggregation in the township. Trustees Melanie Leneghan and Mike Gemperline approved two resolutions in the special meeting Monday to place two questions on the upcoming ballot asking township residents for the authority to implement an aggregation program for both the township’s electric and gas. Trustee Shyra Eichhorn did not attend the special meeting. Both questions being placed on the ballot have the same language other than one will state gas, while the other states electric. “Shall the Board of Trustees of Liberty Township, Delaware County, Ohio, have the authority to aggregate the retail natural gas loads (and the electric loads) located in the unincorporated areas of the Township, and for that purpose, enter into services agreements to facilitate for those loads the sale and purchase of natural gas service, such aggregation to occur automatically except where any person elects to opt-out, in accordance with (Ohio Revised Code) 4929.26 and Resolution No. 18-0723-01 adopted by the Board of Trustees of Liberty Township, Delaware County, Ohio?” states the ballot language. Scott Belcastro, of Trebel, told trustees that if the program is not wanted by a resident, “They can make a phone call or send a piece of mailing in that you get through the opt-out letter.” He said residents will only receive the letter if they are receiving power from the utility companies directly, but if a resident is signed with a program, they stay with that program. However, if members of the community are currently signed with another program, they can opt-in to the township’s program. He said members of the community could save $80 to $150 per year on their electric and natural gas. Belcastro said for the first three months prior to the election, Trebel educates and lets the community know about the program, then if the voters approve, Trebel works to get the township certified and starts the bidding process from the utilities. Beyond paying for two consecutive weeks of newspaper advertisements, required by law, announcing the township’s intentions of engaging in the program, Belcastro said there is no further cost to the township. He said Trebel pays for the annual filings with PUCO. Leneghan said the trustees have been looking at aggregation programs for years. Leneghan said the upside is community members don’t need to do the work of comparison and the opt-in is automatic. “I think there will be very few people who will want to opt-out,” she said. According to Orange Township’s website, as of November 2014, voters approved of participation in a township aggregation program that was set up through Trebel by Belcastro. Under the aggregation program agreement with Capital Energy, residents currently pay 5.599 cents per kilowatt-hour. The site gives a comparison with AEP’s rate of 6.05 cents per kilowatt-hour but carries a disclaimer that the rate may have changed in June 2017. “It seems to be savings that add up,” said Lee Bodnar, Orange Township administrator and resident. Concord Township is likewise on an aggregation program established with the help of Trebel, for which Trustee Joe Garrett is an aggregation specialist. This entry was tagged aggregation, D. Anthony Botkin, Electric, Liberty Township, Melanie Leneghan, Mike Gemperline, Natural Gas, Scott Belcastro, Shyra Eichhorn, Trebell LLC. Bookmark the permalink.